Please email pathwebteam@jhmi.edu with questions or comments about this page. 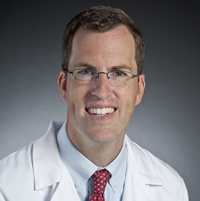 Aaron Tobian, M.D., Ph.D. was inducted into the American Society for Clinical Investigation (ASCI). ASCI is one of the nation's oldest and most respected medical honor societies. It is made up of more than 3,000 physician-scientists from all medical specialties who are elected for outstanding scholarly achievements in biomedical research. Aaron joins Kathleen Burns (elected 2018), Charles Eberhart (elected 2010), and T.C. Wu (elected 2002) from our department. 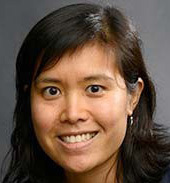 We are proud to announce that Yiting Lim, PhD, a 2014 graduate of the Graduate Program in Pathobiology, has been named a AACR NextGen Star by the American Association for Cancer Research. Currently a postdoctoral fellow in the Dr. Andrew Hsieh Laboratory at the Fred Hutchinson Cancer Research Center, Dr. Lim is working with what is known as the 5-prime untranslated region, or 5'UTR, in messenger RNA. 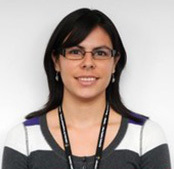 Yiting presented her work at the annual AACR meeting on April 3, 2019 in Atlanta, GA.
Pathobiology graduate student, Areli Lopez Bujanda was presented the School of Medicine Young Investigators' Day Mette Strand Award for her outstanding abstract and was celebrated at the annual awards ceremony on April 9, 2019.